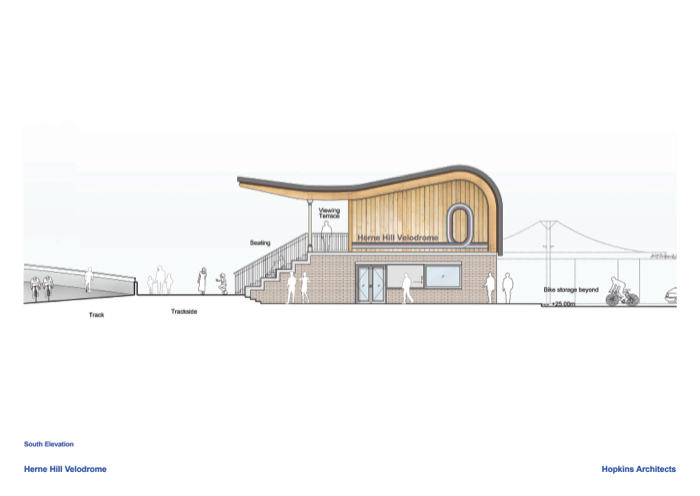 Cyclists across London and the South East are celebrating this week following the approval of plans to build a new pavilion at the historic Herne Hill Velodrome. At Tuesday’s meeting of Southwark Council’s planning committee, councillors voted unanimously to approve the Hopkins Architects design for the new building, which will replace the existing one, which has been out of use for nearly a decade despite the track itself being very popular and in constant use. Hillary Peachey of the Herne Hill Velodrome Trust said “We’re over the moon. This has been a long time coming and I want to thank each and every person who has played a role in getting planning permission this week. For far too long, visitors and riders at Herne Hill have had only basic facilities that do not do justice to the site. Herne Hill has been vital to the cycling history of Great Britain and now, with this final piece of the jigsaw secured, will play a role in the future”. 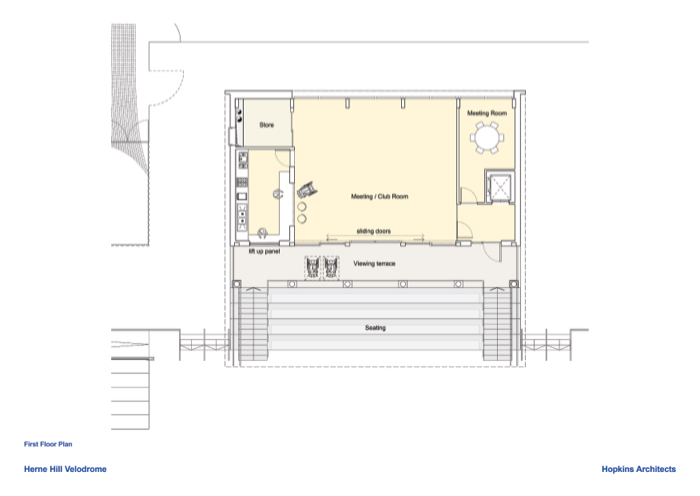 The Herne Hill Velodrome Trust, who submitted the plans, was established in 2011 to ensure the regeneration and continued use of the Herne Hill site, which has hosted a velodrome since 1891. The first ‘win’ of the campaign was to secure a medium term lease on the land, thereby unlocking funding from British Cycling to enable the total refurbishment of the track surface, which had become dangerously unsafe to race on. The second success came with funding from Southwark Council’s Olympic legacy project, to install trackside flood lighting and create a new, junior track inside the existing one, as well as much needed hard standing for use in coaching, training and events. This was completed in 2013 and has allowed the Herne Hill Velodrome Trust to increase participation from around 15,000 riders a year to a staggering 34,000 a year from a range of schools, community groups and regional cycling clubs. The Herne Hill Velodrome, where Sir Bradley Wiggins first rode a track bike while still at primary school, has hosted some of the world’s greatest track riders, and continues to be a hive of activity from balance bike sessions for toddlers to elite level training and racing. Until the completion of the Stratford velodrome for the 2012 Olympic & Paralympic Games, Herne Hill was the only velodrome in the whole of London. Bob Howden, President of British Cycling, said; “This is fabulous news for cycling in London. 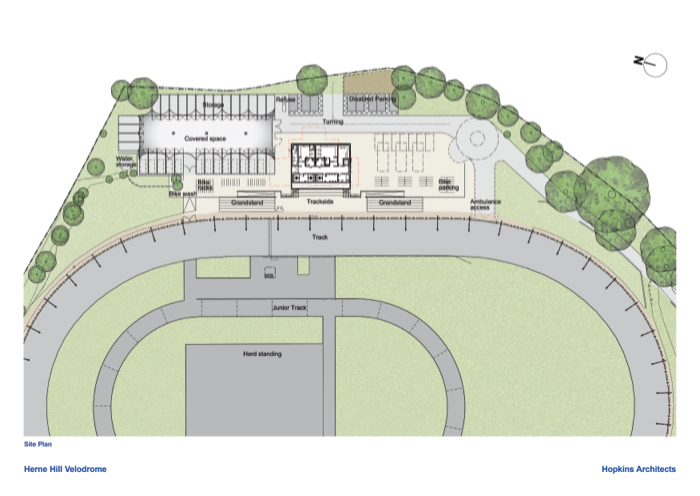 The planning consent for the new pavilion will allow the completion of the final phase of the comprehensive improvement programme and ensure that cycling’s rich history continues in the long term. As one of the only surviving venues of the London 1948 Olympic Games the future has never looked brighter for Herne Hill”. Tessa Jowell, who as local MP was vocal in her support for the campaign since the very start, said; “I’m delighted that Southwark Council has granted planning permission for Herne Hill Velodrome, and I know how much this will mean to the community. 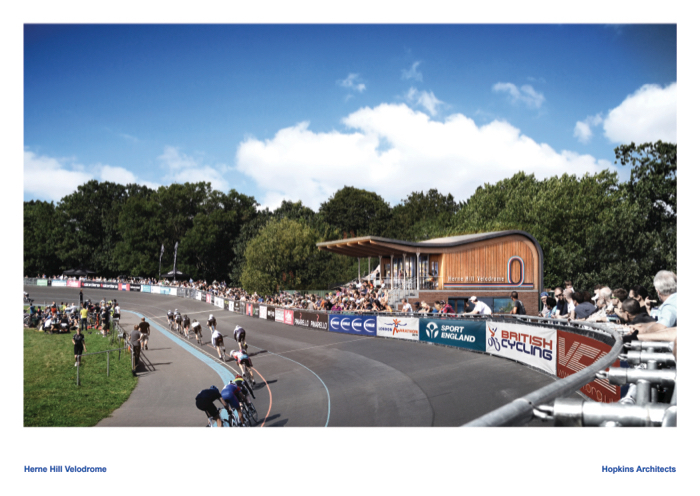 The new pavilion will ensure this fantastic asset remains as popular as ever, and as Patron of the Herne Hill Velodrome Trust I look forward to helping plan for a successful future for the track”. 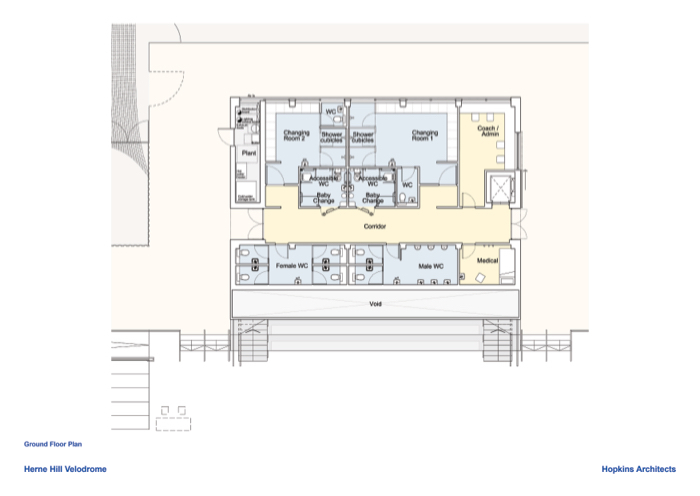 The approved plans, which have been developed and (subject to completion of funding agreements) will be delivered thanks to Sport England, the London Marathon Charitable Trust and Southwark Council, will allow for a multi-sports room, training and office space as well as reconfigured bike storage. It is proposed to begin work and have the new building ready to celebrate the track’s 125th birthday in 2016.